Neo4j is one of the distinguished open source NOSQL graph database. There are plenty of open source graph databases available, however Neo4j is one of the most popular options available currently. Online backup and high availability are some of the preeminent features of Neo4j. The graph traversal in Neo4j is supported by number of different ways. 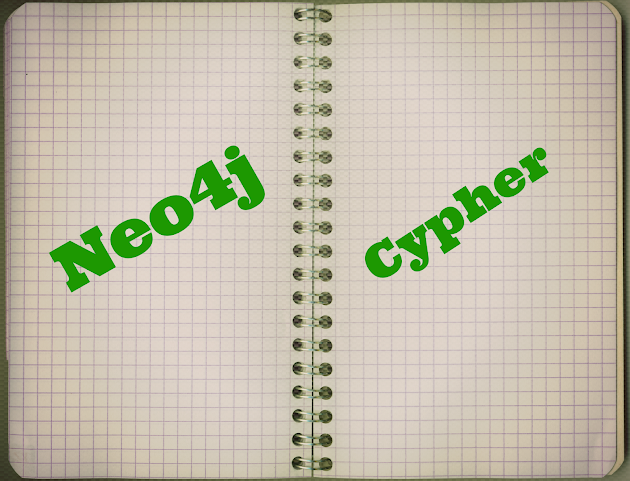 This article is focused on the the Neo4j proprietary graph traversal language, its called Cypher. Cypher is really powerful and very intuitive language to traverse a complex graph. Some of the basic operations can be very efficiently done in Cypher. We have recently evaluated Neo4j database for a large project and heavily used Cypher queries. Cypher can be really handy for a Neo4j developer to traverse and debug from admin web console. This article is trying to document some of the most common queries we found useful. Below are some commonly used query snippets for you to use as a cheat sheet. Much faster way to do same query is using Indexed fields. If you want to search for a field using this approach it must be indexed. In our example it requires you to have a index on "name" attribute. Lets assume we have a index named PersonIndex on this field. Lets say we want to find a vertex (or all vertices) that have "firstName" as "John", below query can be used. However, this may not be very good in performance. Therefore I would recommend using a index based query for this. In this case you must have a index on the field you are trying to search. Lets assume we have a index named firstNameIdx on this field then the query will look like this. The id attribute of a node is always available however it can be returned using cypher query by a id() function. Lets say you just want to know how may people in you database with first name "John". This simple query can be done like below. Get The Edge Of A Vertex With Label "friend"
Now starts the real fun with graph language. You may already know that you can have outgoing or incoming relations in a graph. Lets say you want to know all the out going edges with label "friend" . Lets say you want to know all the incoming edges with label "friend" . Lets say you want to know all the in coming and out going edges with label "friend" . Get The Count Of Edges Of A Vertex With Label "friend"
Count is a useful function that can be applied on vertices and edges to count them instead of getting the object itself. Just like vertex, you can also fetch the attributes of any edge using the name of the attribute. This is another combination to demonstrate the starting point can be a property and any attribute of a connected vertex can be obtained. For example we are extracting age of all friends of all persons that have last name Doe. This can be achieved by a where clause for the age attribute. Note: This will work with numbers. Make sure the attribute is stored as a number, not string. This can be done by the dedup function. This can be achieved easily by using count function. These queries can be used to do manipulation of graph from the cypher console or client api. This can be done using create statement in cypher query. This can be easily done using a single statement. Note how the variables (jdoe and mj) are defined just by assigning them a value from cypher query. Neo4j provides multitude of means to traverse a graph. Rest API, Gremlin, Java API and Cypher are the ones we looked into. Gremlin is a general purpose graph traversal language which is supported by wide variety of graph database vendors including Neo4j. Cypher has great features that are advantageous to Neo4j users. , however unlike Gremlin, Cypher can be used on only Neo4j database. I hope you will find these queries handy for your Neo4j development. Let us know of any queries you think we should add to this list? Hey Sachin, it would be awesome if you created a version of this blog post for Neo4j 2.0.